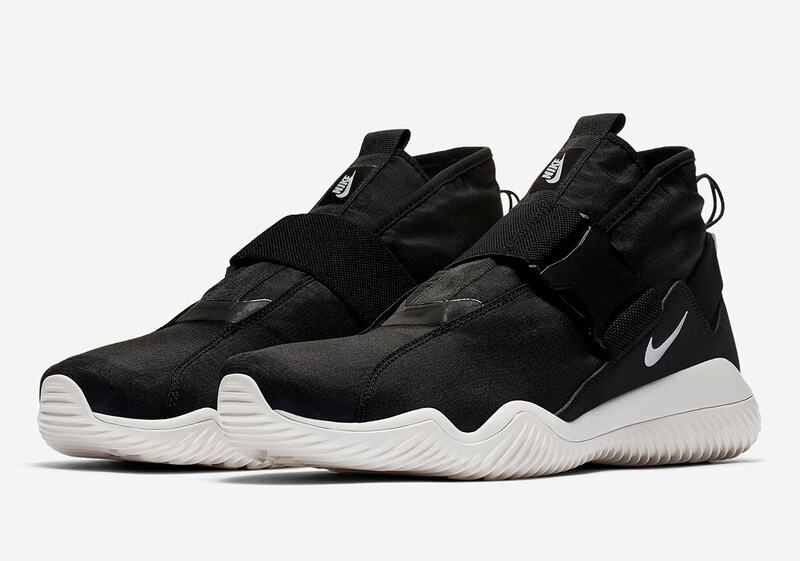 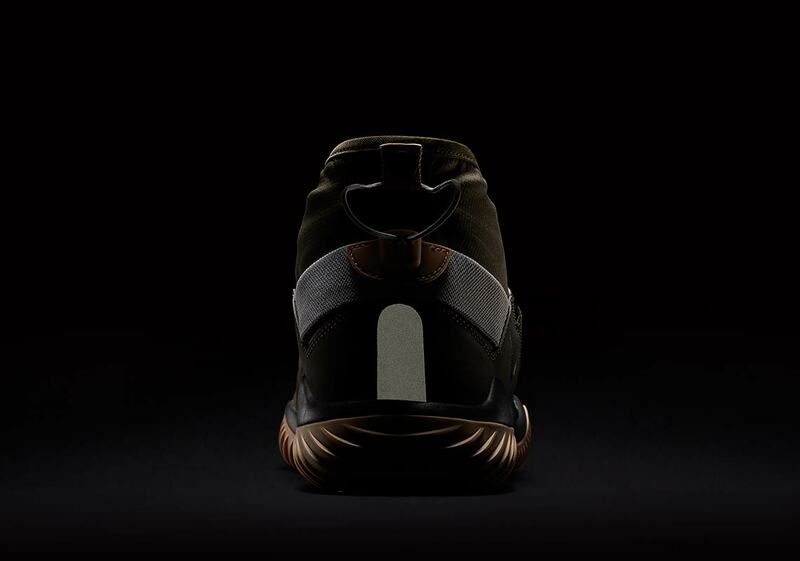 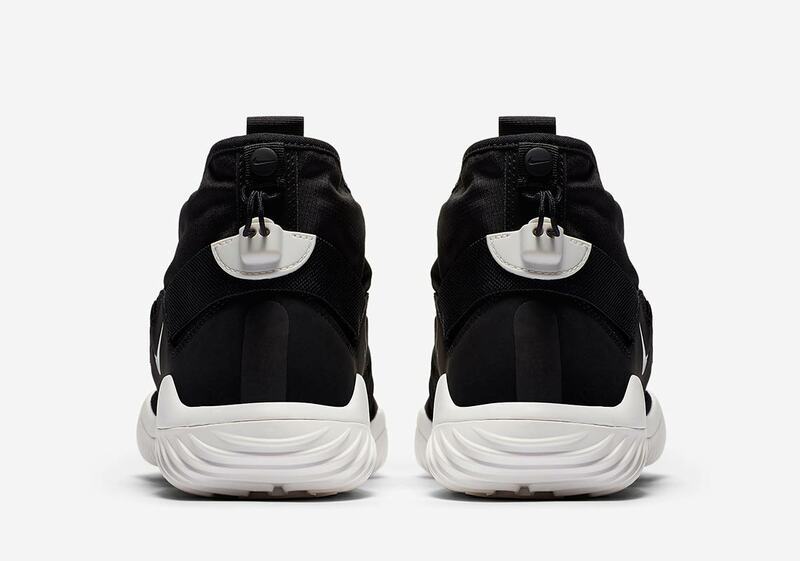 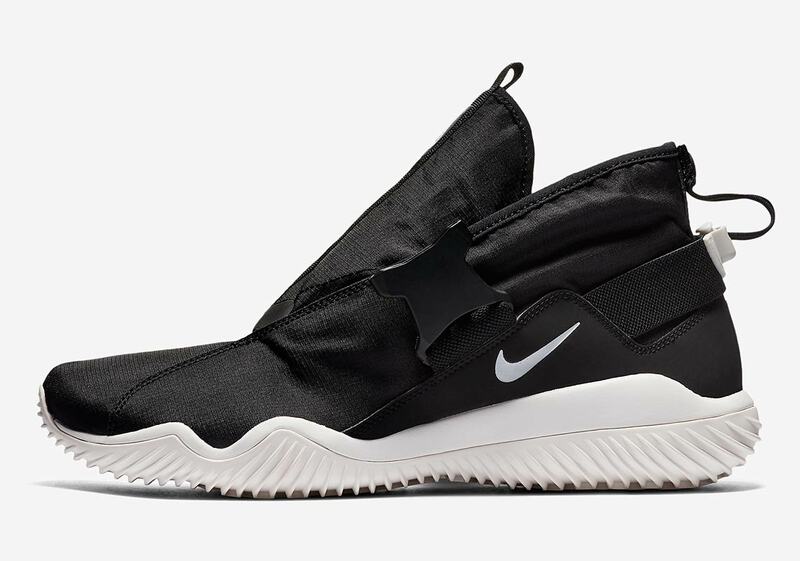 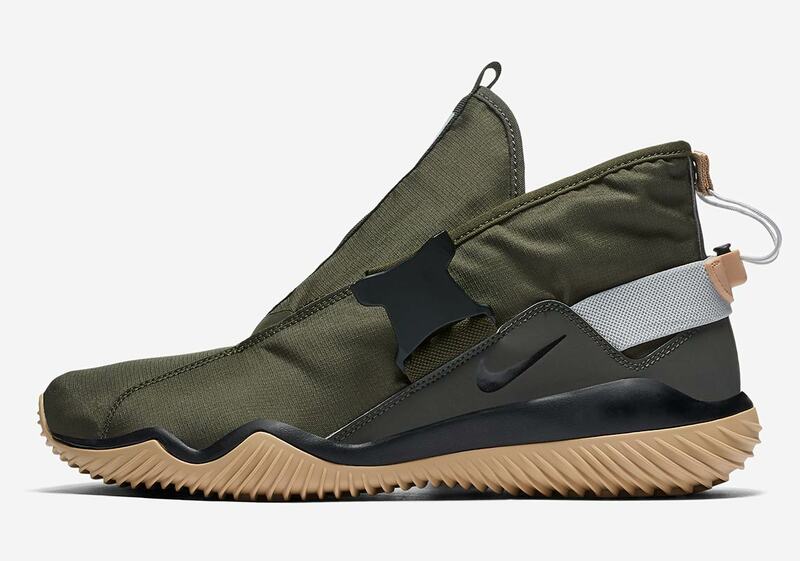 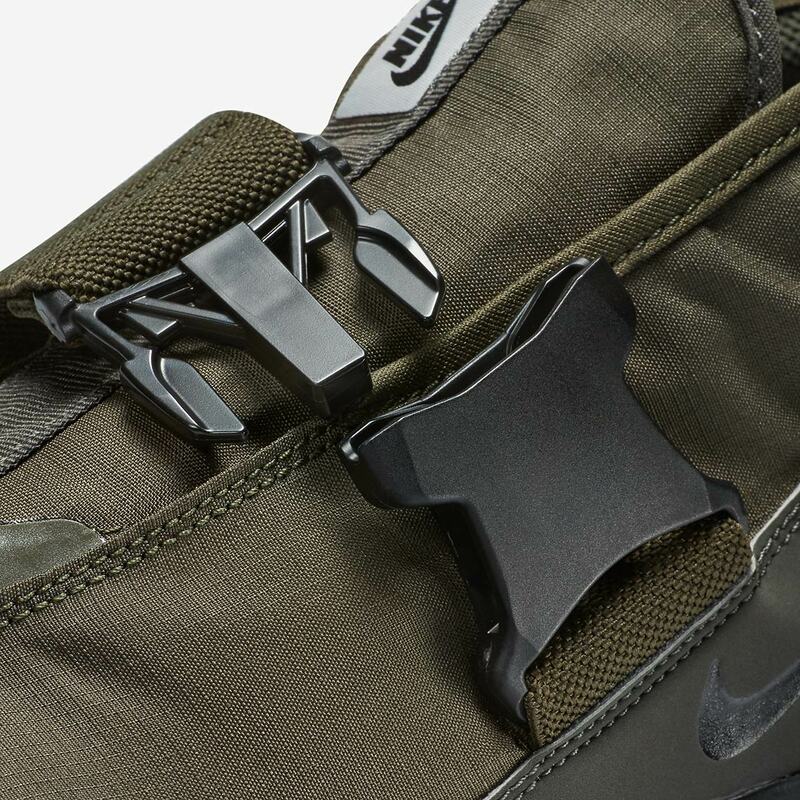 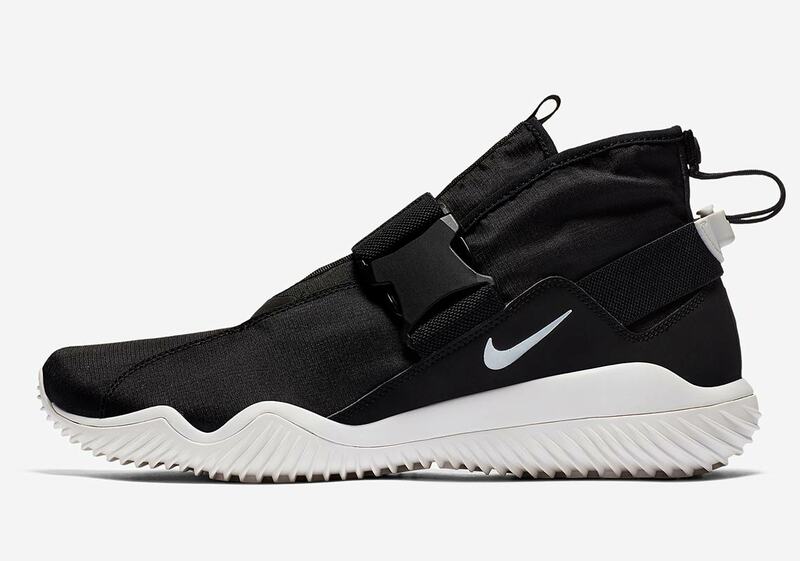 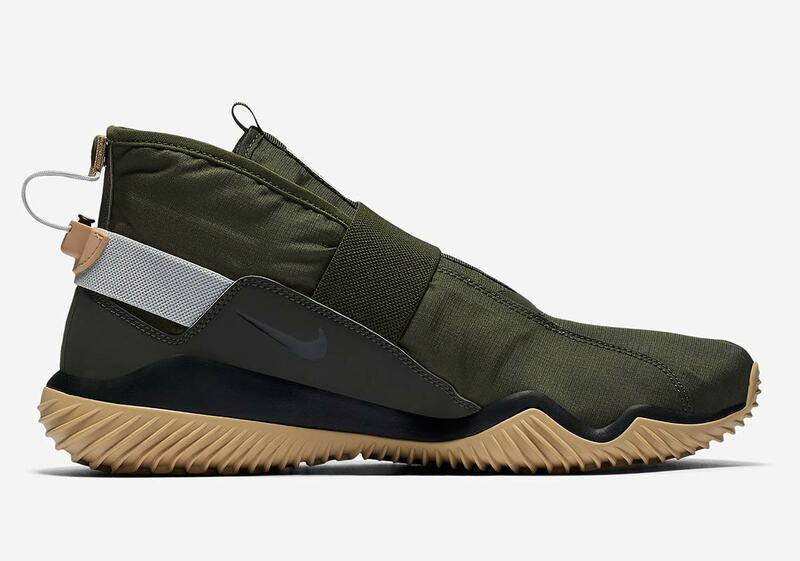 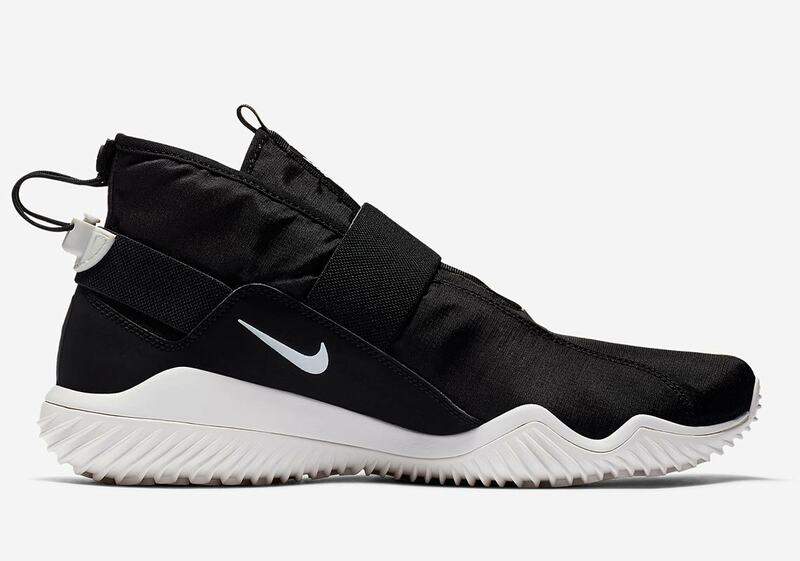 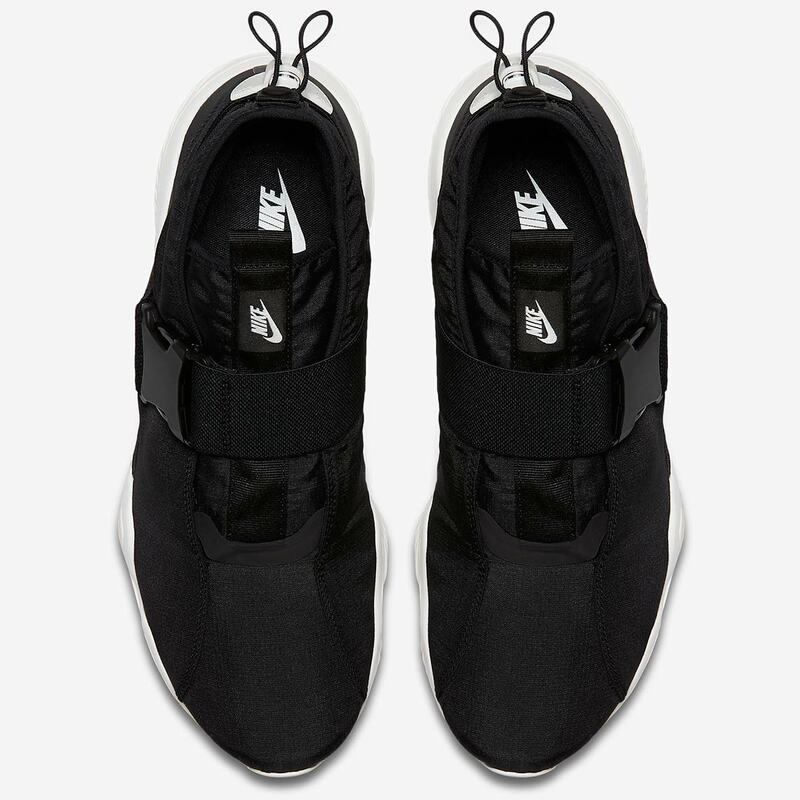 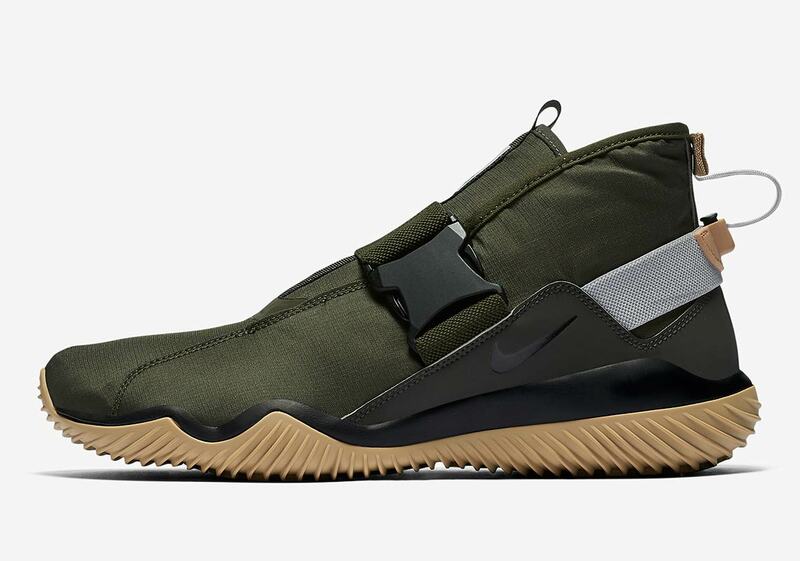 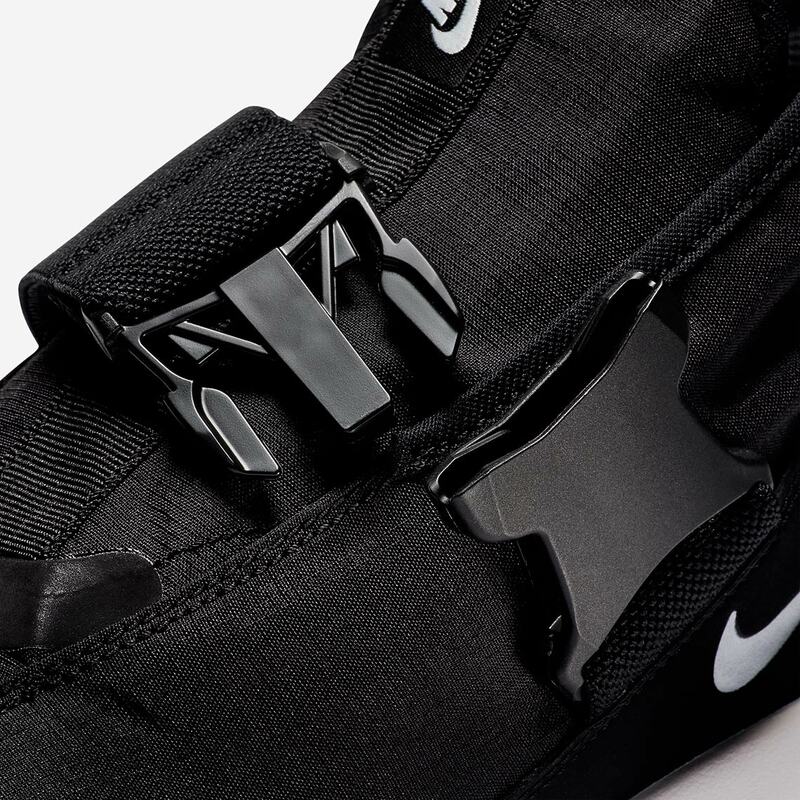 The Nike Komyuter Essential, a unique shoe designed for the modern-day urban commute, has arrived in both a military-style olive colorway and an understated black/white. 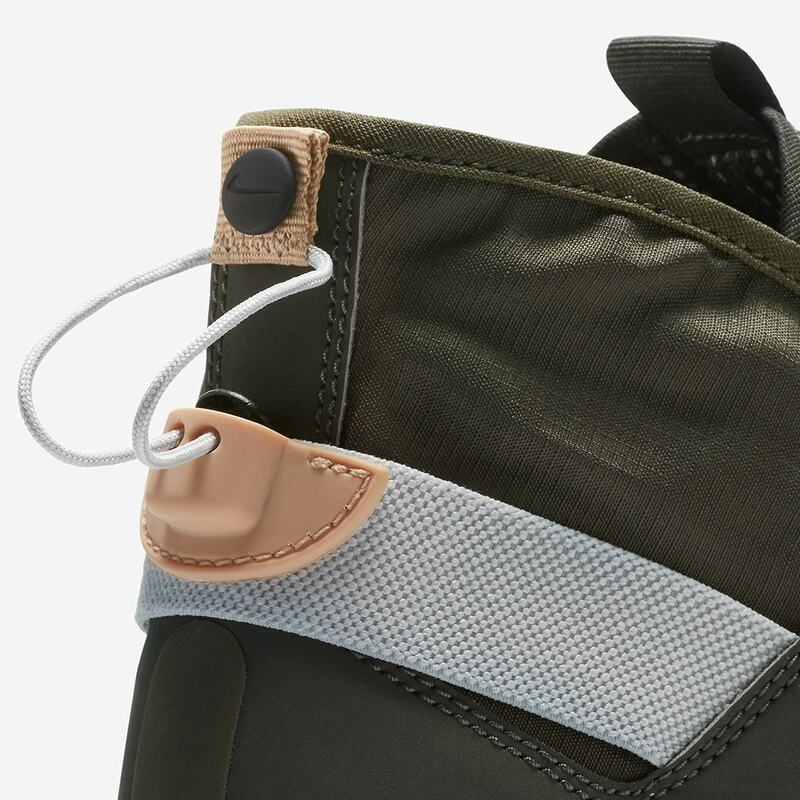 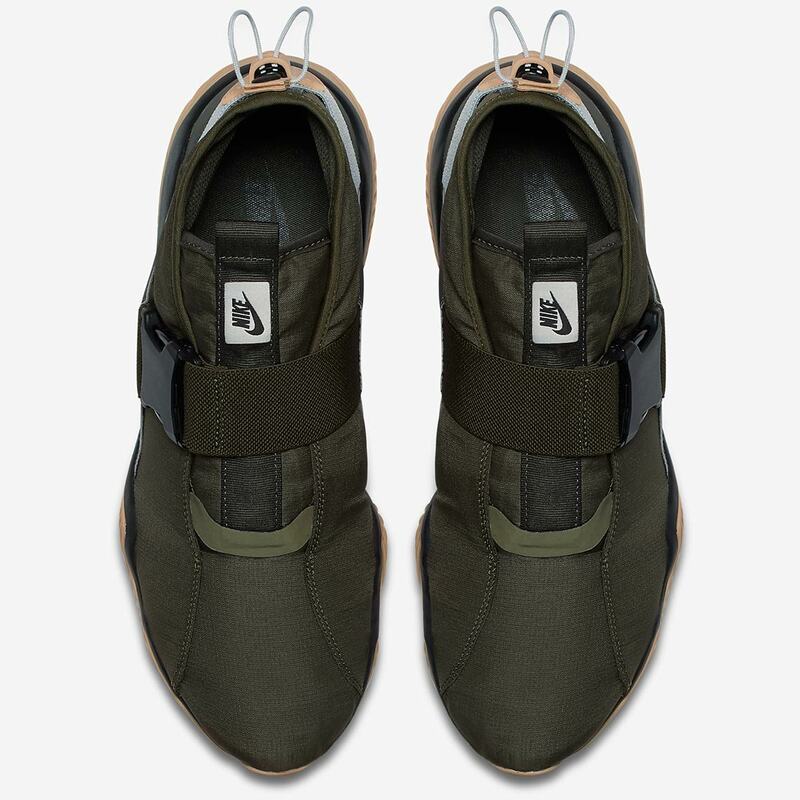 The olive pair features a drab olive upper, with accents arriving via a black midfoot buckle, grey heel strap, and tan/ grey detailing on the heel’s toggle system that works together with the buckle to replace a traditional lacing system. 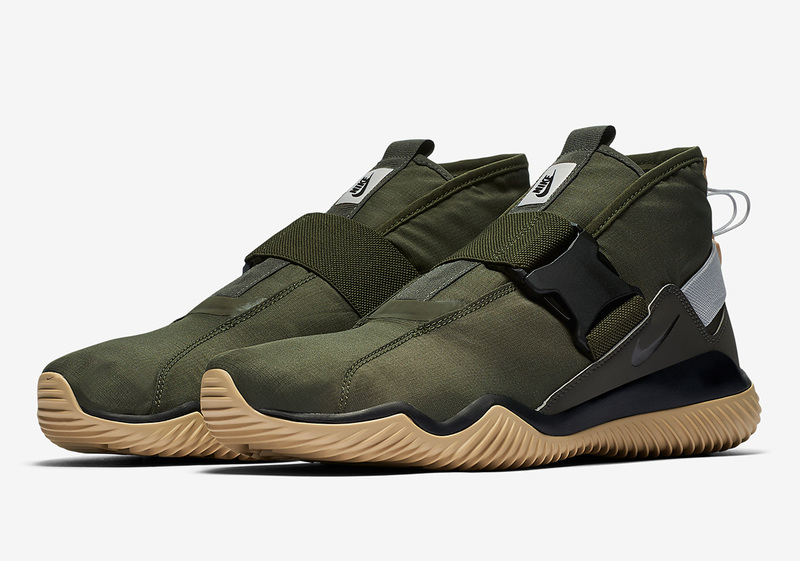 The urban combat-ready look is then completed with a black midsole and a classic gum outsole. 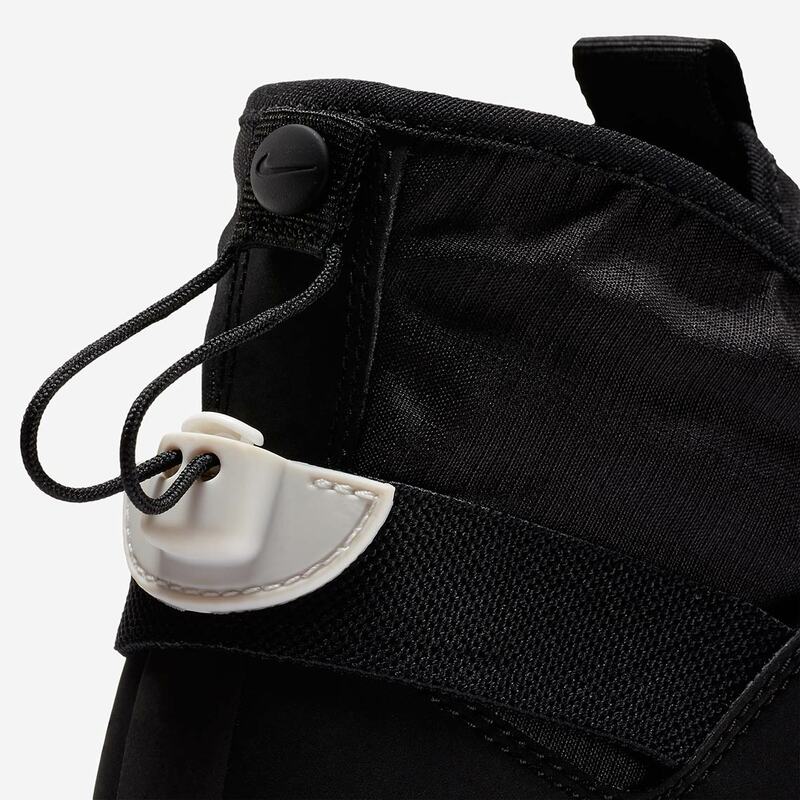 The black/white pair opts for a more tonal look, with the entire upper, from the buckle to the lacing system arriving in a muted black, while small accents arrive via the white midfoot swoosh and tongue branding. 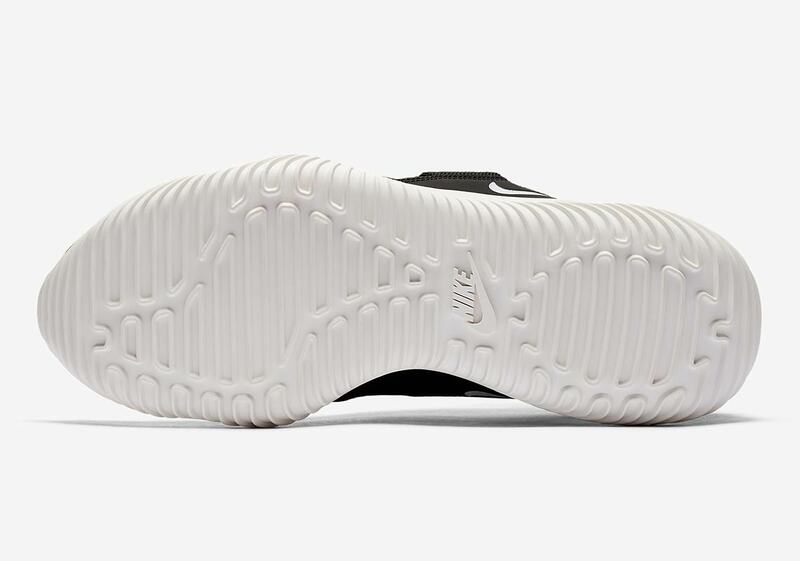 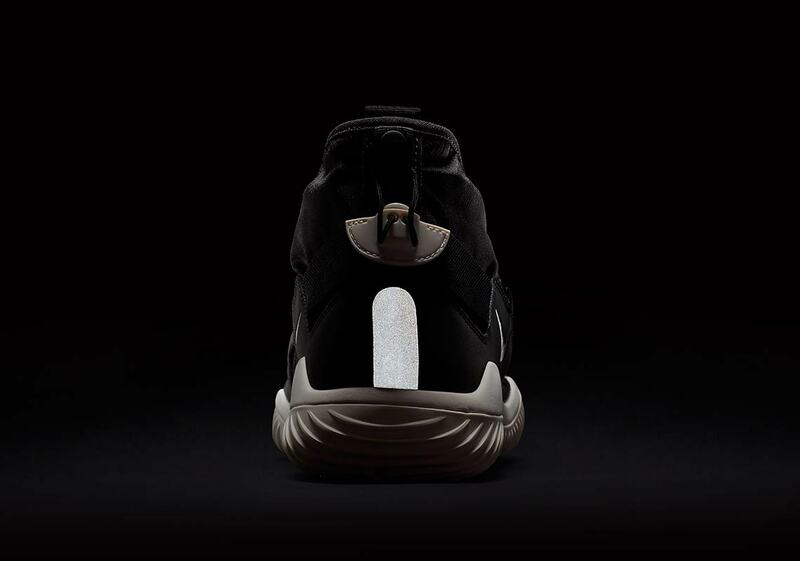 A white midsole and outsole provide a stark contrast, slightly diffusing the upper’s tonal look. 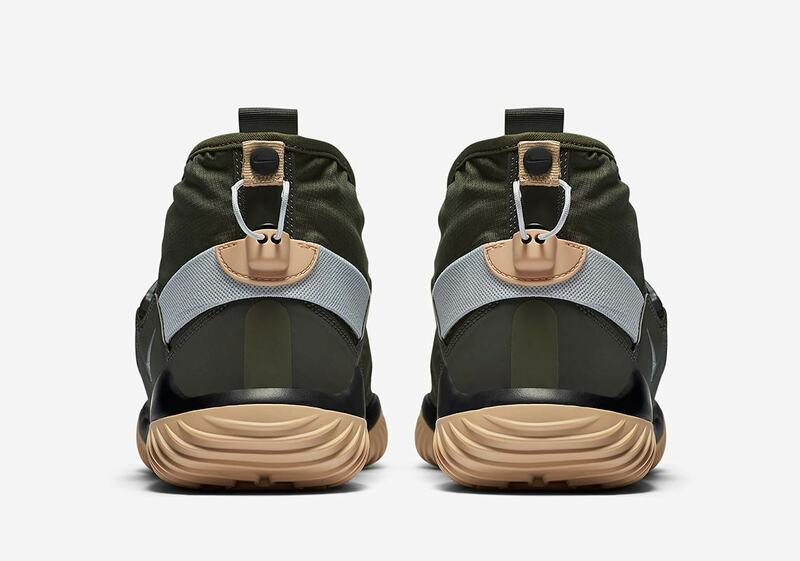 The “Cargo Khaki” pair is available now on Nike.com with a retail price of $120 USD, and you can look for the black/white pair to arrive sometime this summer as well. 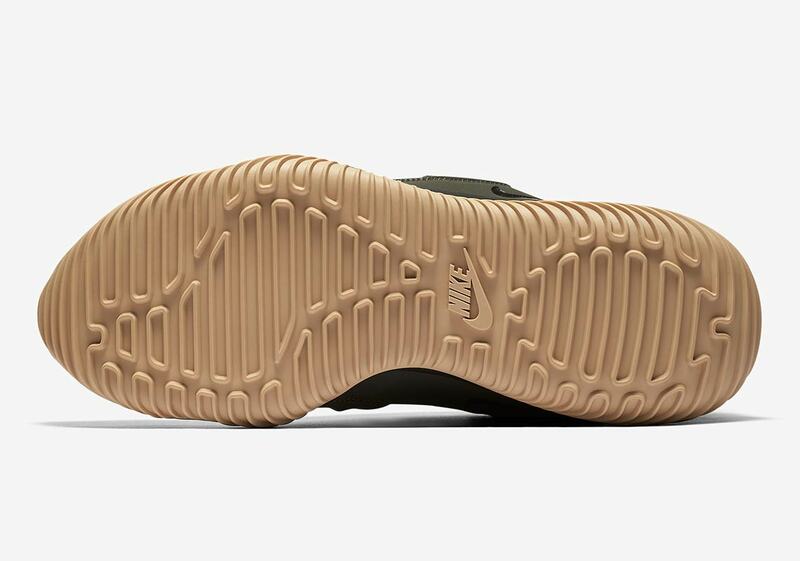 In the meantime, be sure to check our Sneaker Release Dates page to stay up-to-date on all Swoosh Brand release information.